the install is a bit more work than i was expecting, hope it will "be quiet"
from completed build First Build - Weeb Station. I've only had it in for a day, but it's already dominating over the previous stock cooler. Getting the same low temps but with only just over 150rpm. I really wasn't expecting the noise difference to be so noticeable. It's silent. Check the pictures, you'll see it does block access to the ram cards, so I pray now that I don't have to change them out any time soon. Also, it's a beast, in size, but perfect fit overall. Looks great and performs well, it runs silent and cool even with a 5Ghz delidded 8700k. 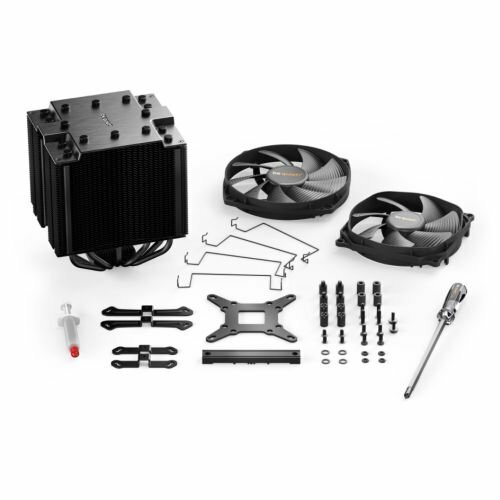 I choose this cooler for the combination of aesthetics, cooling performance and noise levels. This cooler has it all. The cost is very high however and with that said the performance-to-value ratio of this cooler is not good compared to competitors. Mounting the actual heatsink onto the motherboard wasn't an issue at all. It was installing the fan clips that were the biggest pain of the installation. If you're not careful, its very easy to chip off the powder coated fins. Also easy to bend the fins as well. Overall one probably won't be able to see the bent / chipped fins but it's worth noting this. 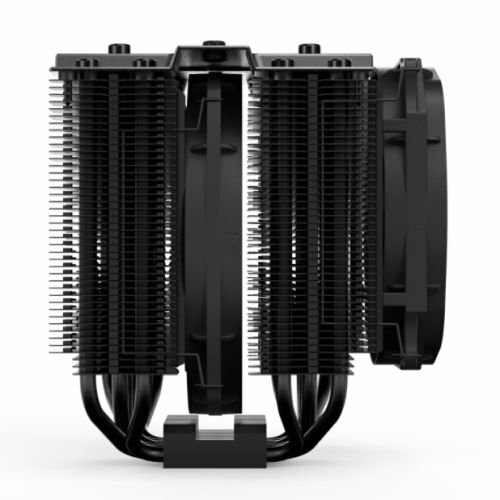 The installation process could be improved but it looks great and provides awesome cooling performance. 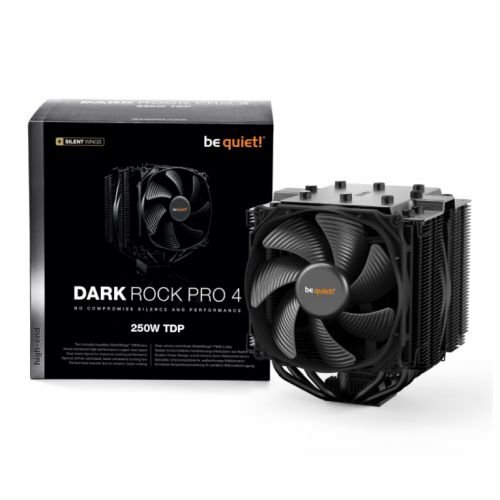 I've paired my Dark Rock Pro 4 with a Ryzen 2700X and Thermal Grizzly Kryonaut TIM. Definitely does what it says: stays quiet and keeps the CPU real cool. Cons: cumbersome install process, the heat sink gets easily scratched, a bit overpriced. Also, it’s so big it essentially covers up the ram sticks you pop in there. 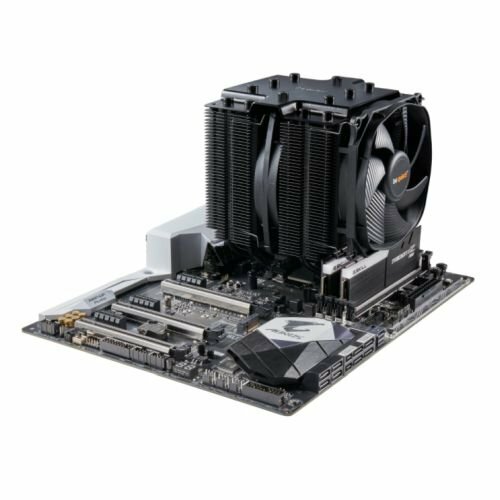 Keeps my ryzen 7 2700x cooler under load than a 240mm AIO did, for a fraction of the cost. Plus it really helps fill the space.